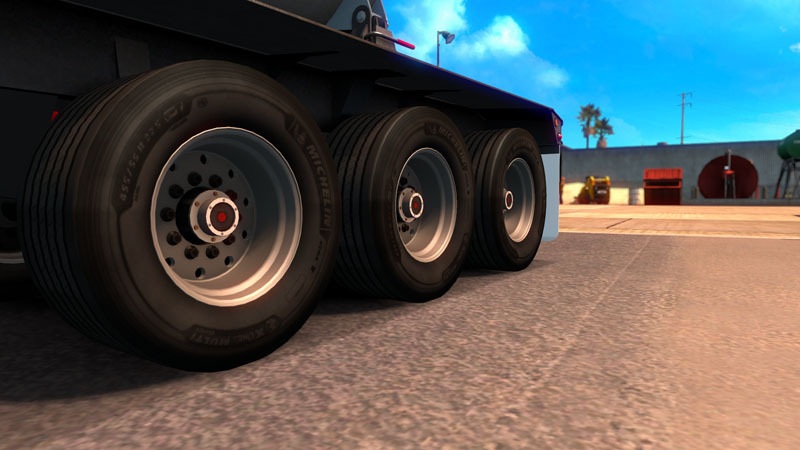 This article is a full listing of the trailer wheels included in Smarty's Wheel Pack, plus full instructions on how to integrate them with your trailer mods. 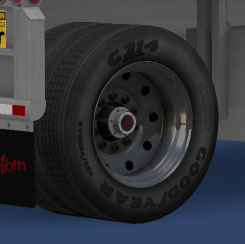 Using wheels from the Wheel Pack in your trailer mods is probably different from from anything you're used to. 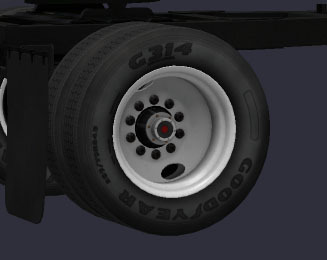 First and foremost there is no need to include the core models or definitions from my wheels in your mod. In fact, I actively discourage it to prevent conflicts and needless compatibility updates for both you and me. The whole purpose of this system is to make things easy for you, me, and especially our users in the long term! Which wheels you want to correspond to which .sui's. A full listing of your options appears in the sections below! What colour you want them to be (if applicable). In the next minor update of the Wheel Pack, I add .sui files with the same path/name as yours which set the data_path to the appropriate wheel definitions and add the paint_color attribute if applicable. The game always uses the last version of a file to be loaded, so the .sui's in the Wheel Pack are used instead of the ones in your mod. Magic! Bright, as-machined finish on wheel and brighter, less shiny tire appearance to mimick UV damage (will eventually have its own texture with worn tread and sidewall damage). Satin(ish) painted steel. 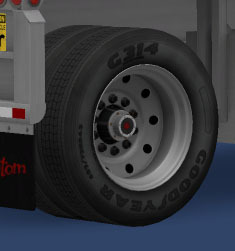 (paintable with paint_color attribute, *if it is ever enabled for trailers). 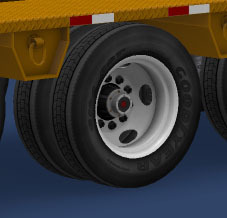 Typically used on lowboy trailers, car haulers, etc.